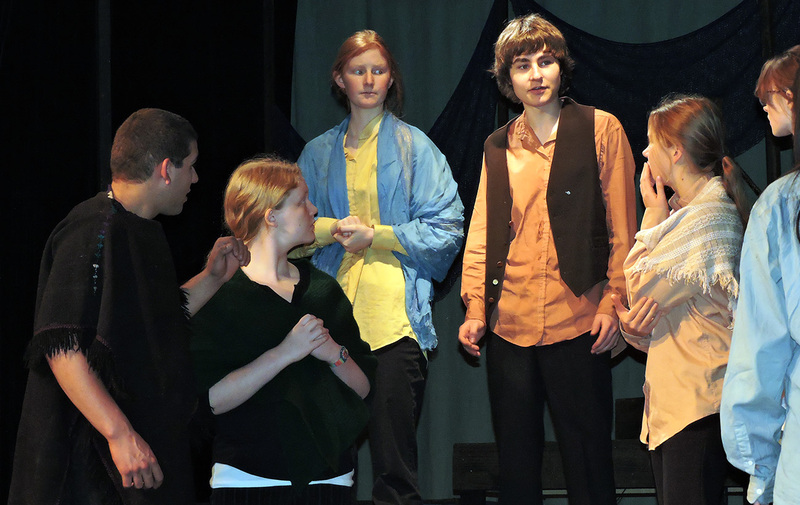 As an IB school with a strong emphasis on the performing arts, NPA educates its Young Actors Guild with a performance of a different play every year. The NPA Young Actors Guild is made of two casts: the Freshmen / Sophomore cast, and the Junior / Senior cast. Murder. Revenge. Is it ever justified? Powerful and tragic, the Greek play The Oresteia by Aeschylus examines when individuals take the law into their own hands. Directed by Jean Bazemore. Acted by NPA Young Actors Guild. 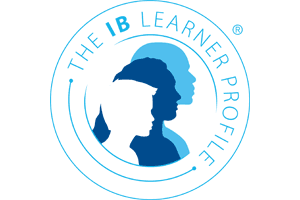 Acting roles from different situations, time periods, and cultures promotes empathy, while the risk-taking of acting gives students a sense of confidence. Collaboration is key from stage design to on-stage performance. 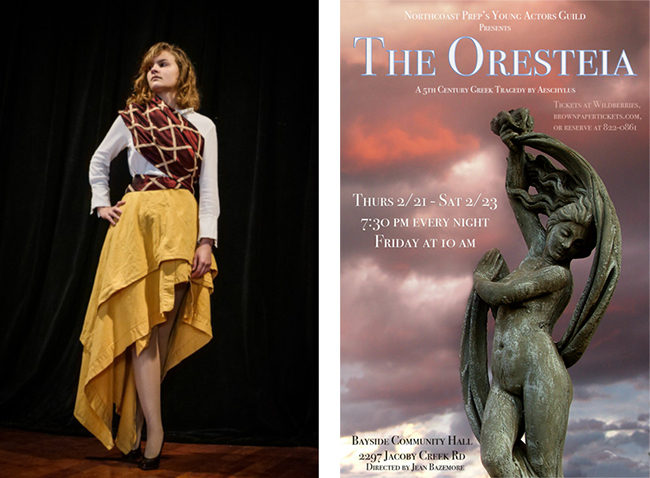 Starting February 11, NPA Young Actors Guild Junior/Senior cast engages in intensive rehearsals of Aeschylus’s The Oresteia at the Bayside Community Hall for performances February 21-23.